The three or four pharmacies in my area all carry the usual stuff. On a whim bought some Aqua Velva. Nasty stuff! (08-14-2018, 12:05 PM)gRider Wrote: The three or four pharmacies in my area all carry the usual stuff. On a whim bought some Aqua Velva. Nasty stuff! Pharmacy stuff? Clubman and Old Spice. Is it just me or does Clubman have a strong cannabis note? (08-26-2018, 06:04 PM)Nero Wrote: Is it just me or does Clubman have a strong cannabis note? 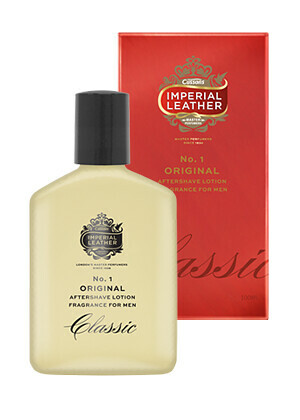 A favourite of mine from local supermarkets is Cussons Imperial Leather. About AUD$8 if you shop around. (08-13-2018, 06:27 AM)Garb Wrote: My son-in-law used to swear by witch hazel? He was meticulous about his shaves as well. Maybe I missed the boat on this one? There is witch hazel in a lot of aftershaves. Like every other reply - I have to go with Clubman & AV as favorites. I didn't see anyone mention them but I also enjoy Stetson & Grey Flannel. (08-27-2018, 02:06 AM)TomG Wrote: A favourite of mine from local supermarkets is Cussons Imperial Leather. About AUD$8 if you shop around. My wife and I have used the bath soap for years. I didn’t know they made an aftershave; I’ll have to keep my eyes open for it on my next trip to Pommy Land. Plain old witch hazel for me. Don't see the point in paying extra for any of the other standard options. Gosh, I hope not. On our first day in Amsterdam last May I said to my wife that there seemed to be a lot of skunks around from the smell of the air in many of the downtown streets. She laughted so hard I thought she might split a gut; she then informed me that that was the smell of pot smoke emanating from the coffee shops. Commonly available would be either Nivea or Gillette, with the former taking the lead. Especially for us guys not located in North America. The AUS imperial leather is awesome!